Fireworks used to be off limits in Palmer and Wasilla but they are now legal with a few common sense guidelines. I remember growing up in Wasilla and going with friends to Houston to buy fireworks that were not legal to shoot off when we got back home. We (if I remember correctly) could shoot them off in Houston only but it was always a bit confusing. Thankfully, it is a little better spelled out now. 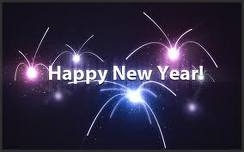 In Wasilla,the Greater Wasilla Chamber of Commerce and Matanuska Telephone Association have partnered together to bring us a glorious firework show on New Years Eve. 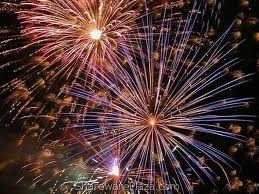 The fireworks display is on 12-31-2010 and it begins at 8:00 PM on Wasilla Lake. If you have your own fireworks to display they are now legal in the city limits and the borough but in a limited capacity and for a limited time. Information for private fireworks use inside the each city (Palmer, Wasilla Houston as well as the Mat-Su Borough is provided a little further down this page. In Palmer,we have not found any information on a hosted firework display, but we do know that Valley Mountain Bikers and Hikers are meeting at 1:00PM on New Years Eve to ski or snowshoe Archangel Trail. They have offered to meet at Turner’s Store and carpool in or meet at Archangel at 1:45. VMBAH suggests that you bring water, snacks and appropriate winter clothing and your ski or snowshoe gear. The trail is said to be an is an easy to moderate ski or snowshoe along the unplowed Archangel Road/Trail. It may or may not be groomed at that time. They plan on going at least a couple miles one-way, depending on the snow conditions and weather. The New Years Eve celebration can continue with the ‘Apres ski’ also. Plan to linger in Hatcher Pass for a apres ski at the Hatcher Pass Lodge – a little warm food, drink and conversation will be a great way to end the day (and year!) – or linger a bit more for dinner if you have the time. According to their website, VMBAH is a recreational trail advocacy group based in Mat-Su. They are dedicated to increasing the quality and quantity of sustainable trails for hikers and mountain bikers throughout the Matanuska -Susitna Valley. FOr more information, contact them at [email protected] for more information. In Houston, a little birdie told us that the Houston Lodge will be celebrating with the band Steelhead beginning at 9:00 PM at the lodge. So you can ring in the new year with a mix of rock, country and blues! Now for the rules, laws, codes and ordinances for each community. Because each varies, we decided to offer a ‘snapshot’ into each. If you have any questions on any of them, you can call the city police or AST for assistance. Remember to play it safe and use common sense-they are explosives, they do burn and they make loud noises that can scare little ones and pets. It is always a good idea to bring ear plugs for the little ones, keep water close just in case, have a sober adult supervise, and leave the pets safe at home. Must be used on private property, with permission from property owner. Prohibited within 50 feet of lakes and other waterways within the city. Prohibited within 500 feet of automotive shops, gas stations and places where flammable liquids are stored. Prohibited within 250 feet of churches, libraries, schools and health care facilities. Prohibited within or from any structure or vehicle. Prohibited if state Forestry Division declares a burn ban. Permitted between 6 p.m. December 31 and 1 a.m. January 1. Prohibited within 50 feet of waterways within the city limits. Prohibited within 500 feet of automotive service stations or other premesis where flammable liquids or gasses are stored. Prohibited if state Forestry Division or the City of Palmer declares a burn ban. It is unlawful for any person to explode any fireworks, except as otherwise provided in this chapter, within any City park or upon any public property or rights-of-way. Subject to any limitations in other sections of this chapter, a person may use saleable fireworks within the City for personal and private use on real property owned by the person, or on real property owned by another with prior consent of the property owner. The sale of fireworks to any person under the age of 18 is prohibited. It is unlawful for persons under 18 years of age to purchase fireworks. Purchasers of fireworks must show proof of age upon request by seller. The sale of the following types of saleable fireworks is prohibited: pop bottle rockets. It is unlawful for any person under the influence of alcohol to discharge fireworks. The penalty for violation of HMC 8.05.040.E may result in seizure of the fireworks and/or a fine of up to #300. It is unlawful for any person to negligently or unlawfully discharge fireworks in a manner that could reasonably cause harm to life and property. Any such use, ignition, detonation or explosion of fireworks may result in seizure of the fireworks and/or a fine of up to $300. Prohibited within 500 feet of any gas station stations or other business where flammable fuels are stored. Shout Out to Neils Lock and Safe, Thank You Neil! I received a phone call from my mum a couple nights ago asking for some assistance. There have been some burglaries in businesses near her and pops home and she has been extra cautious when locking every door and window in the home. Mum and pop have taken the garage door openers out of their vehicles and have a keypad on the garage door for key-less entry. Here is the issue. She locked all the inner screen/security doors as well as the interior door from the house to the garage. Yep, mum was locked out-able to get into the garage but not the home. Pop was out of town and she called me for help. Luckily, I was at the office but even I do not have a key to the home (I have the garage combo though but that was not going to get me in). So I called Neil from Neils Lock and Safe and, even though he was closing in 10 minutes, he came to our rescue. In a quick few minutes Neil had the door unlocked. Neil and his lovely wife Lindy are the ‘go to’ people for keys that work (we have had way too many issues at the box stores) and they offer safes, cameras, electronic security systems and locksmith services. They also give so much back to the community with local sponsorship of the Scholastic Shooting Sports Foundation and raising much needed funds for the Children’s Hospital in memory of their precious daughter (Brianna Gregory Foundation). If you have a need for security systems, safes, or anything locksmith related, call Neils Lock and Safe. Or, if you would like to donate your time or monies to either of their close to the heart causes, please visit their websites or check them out on Facebook. When is it Appropriate to Call Clients After Midnight? When the Northern Lights are OUT in Wasilla Alaska! Although I was born in Alaska, I always get excited to see natures paintbrush, the Northern Lights. Larry is more on the Cheechako side only being in state for only 20 years and he also runs outside when we see them. Last night was no exception! While taking the poodle (Tana) out one last time, I looked up and saw the amazing and vivid lime green in the sky and immediately yelled for Larry. Then we started dialing the phone. Clients, friends, family, NO ONE is safe from that 1AM through 4AM call. A wonderful family that just moved up from the lower 48, staying in Billeting at Elmendorf / Ft Richardson until their new home in Palmer closes. That was a fun call-imagine Larry calling saying “Don’t fire us over this, but the Northern Lights are out and we thought your family would want to see them.” You bet! A dynamic couple that recently moved out from Anchorage. She had only been in Alaska about a year and has not seen the Northern Lights yet. A seemingly reserved gentleman (only until you get to know him and realize you have the same wicked sense of humor) that is also moving to Wasilla from Eagle River. My cousins that recently moved up to Alaska from LaGrange Indiana. They drove up into the mountains to see the Northern Lights shine and dance! We also have some fantastic friends that we had on the Northern Lights phone tree tradition when they moved to Wasilla from Kansas. THEY texted us this time! My parents started this phone tree tradition when I was little alerting out friends to ‘go outside’ and the tradition has not stopped. The simple rules were that if they do not answer, it is OK. They probably will answer your 3AM call next time because now they know what they are missing. Don’t apologize, the Northern Lights are beautiful and once they see them you will understand. It does not matter how old you get or what time of the morning it is, you BETTER call us when you see them! It does not all have to be about helping people buy and sell property. For us, we very much enjoy sharing our Alaska with our clients, friends and family. This is one example of something silly we do to share our love of our area. If we missed you and you would like to be on our Northern Lights phone tree, just drop us a line and let us know! If you read our previous post, NO food coloring was used in these photos! If you missed it, here is a list of some you might take a look at. Frostbite Footrace, Snowshoe Softball, Snow Sculptures and Dog Races, OH MY! Iron Dog, What is an Iron Dog? Offer Goes up in Smoke, Literally! Alaska Foreclosures-How to Show an Igloo in Alaska So, if Your Friends Jumped off a Bridge, Would You Too? International Order, How many Igloos Can I get? Thank you for visiting and sharing ‘Our Alaska’ with us! Iron Dog? What is an Iron Dog? An iron dog, for those unfamiliar with the term is a snowmachine and THE Iron Dog is a grueling test of endurance for man and machine. This race is the ‘worlds longest snowmobile race‘ and it runs over 2000 miles. Crazy weather conditions, rugged and unforgiving terrain and some of the most beautiful territory in the world make up this a survival course on snowmachines. Larry and I went to the start of the race this with my cousins and, although it was cold, we could not imagine what the racers would go through with the windchill factors. Wind chill from the normal weather conditions and also that of the created variety as they race man and machine in the harsh Alaska wilderness. View the 2000 mile race route map HERE but remember-the state of Alaska is the size of Texas times TWO! There are FAQ about the racers, machines and terrain in case you have questions. Pretty interesting information about everything from why duct tape is on the racers faces, how the trail is made and how cold it gets (OK, I have to spoil that one. It can get to MINUS 57 degrees F). The race ends in Fairbanks and the first place finishers are expected to be at the finish line after noon on February 26. If you would like to track the racers by GPS, you can go to the Iron Dog website and check in. Even the soda cans are heated so they do not FREEZE in the cold. Imagine what the racers go through! We are often asked what the population of Wasilla is. The question is more easily asked then explained. The easy answer that you will get from the search engines is somewhere around 7,000 (for 2009). This answer is specific to the number of people who live within the City Limits of Wasilla. This answer might be technically correct, but our reality is a bit different. We call Wasilla our home, along with thousands more that do not live within the boundary lines of the Wasilla City limits. The real Wasilla population is spread over many miles. If you were searching for Wasilla real estate , the search would cover an area that stretches from Trunk Road and over a dozen miles going up Knik Goose Bay Road. A great resource for what’s going on in Alaska is the Alaska Trends Magazine produced by the state. December’s issue discussed what is happening with the population in Alaska. You can find information on the Wasilla population including the Mat Su Borough Data starting on page 12. DECEMBER 2009 TRENDS MAGAZINE. The total Mat-Su Borough population is over 80,000. These populations numbers are estimates but the data comes from sources like who is getting their permanent fund check, (Alaska Dividend check paid to residents each year). Since the incentive to get this check from the State is so great, the population estimates are better than most states. The amount paid in 2010 was $1281 per resident. The Wasilla population is expected to continue to grow. The area has a several factors that contribute to its popularity. Home prices are more affordable compared to other parts of Alaska. There is still a large amount of undeveloped privately owned land for future home sites. The local climate is tempered due its proximity to the salt waters of Cook Inlet. Many chain stores have invested Millions of dollars into the local Wasilla economy. In the last few years we’ve seen stores like Target, Lowes, Home Depot and even more recently the Wasilla Red Robin open their doors. In 2011 we are expecting completion of a new multi-plex movie theatre. Although Wasilla doesn’t offer as many choices in dining and retail as Anchorage, it has come a long way in the past few years. As the Wasilla Population continues to grow so will the choices we have come to see. Did you know that not all real estate licensees in Alaska are not REALTORS® ? If you are interviewing real estate licensees to assist you in the purchase of your next home the sale of your existing one you may want to ask them if they are a REALTOR® . What’s the difference? Well, probably the biggest differance between a REALTOR® and someone that holds a real estate license that isn’t a REALTOR® is the code of ethics set forth by the National Association of Realtors. In the Wasilla Real Estate Market not all real estate licensees participate as a REALTOR® member. It is not necessary for a real estate licensee to be a REALTOR® in order to sell real estate. Those that choose not to be REALTOR® are not governed by a strict code of ethics that REALTORS must use in dealings with one another and the public. If you want a REALTOR® to represent you on your next real estate transaction, you can SEARCH for local Wasilla Realtors here.